The roots of the company as a family bakery in the Penedès region are evident in the old brand (see image 2). However, Masdeu's activities and profile as a company have changed a lot over the years and generations. First, by evolving towards the industrial field and specializing in biscuit bases in the foodservice sector. And more recently, it has taken on an international dimension with growing exports and the acquisition of the Mariebel brand and its facilities, specialised in producing puff pastry in Atlantic France. Today, Masdeu is the parent company of a group that operates worldwide, both in the foodservice circuit and in the retail channel under the Mariebel brand. 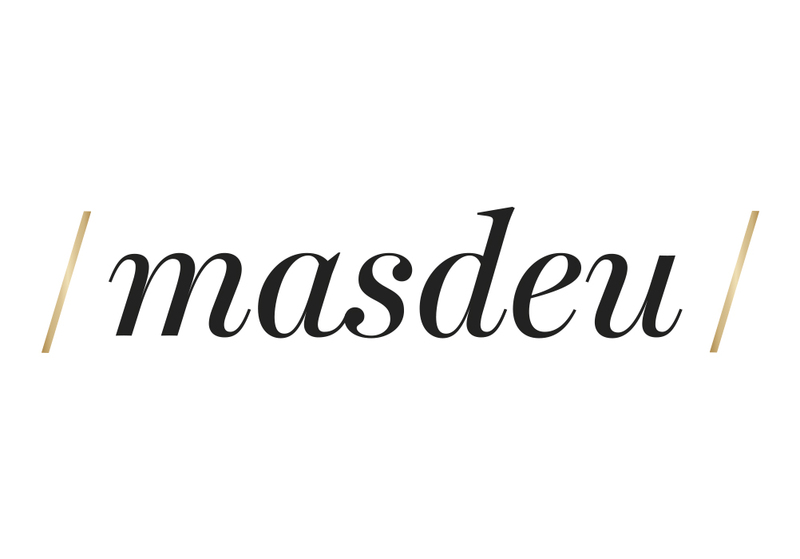 For this reason Masdeu, as a foodservice brand, expresses itself at a less visually descriptive level and adopts the simplicity of a typography that corresponds to the close and friendly character of a brand within the world of food. 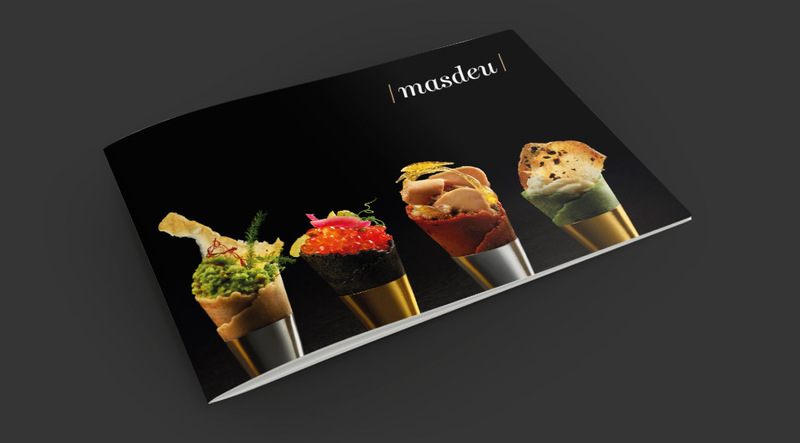 Masdeu's catalogue includes the range of ready-to-fill food bases offered by the brand in the foodservice net as well as restaurants and industrial sectors. The printed edition is essential for the presentation of the new image and the expanded range, and will also be available soon from the website. Photographs of suggested culinary uses introduce the different catalogue sections sorted by type of base. Available in English, French and Spanish editions.